The idea of the game is simple – 2 x teams of 6 players face each other on a court and throw balls at each other. If a player is struck by a ball, they must leave the court. If a player catches a ball, the thrower must leave the court, but the catching team can have one of their ‘hit’ players brought back on. The winning team is the one who gets all the opposing team off the court. The game is fast and furious, but it is also full of teamwork, tactics and strategy, depending upon how many balls and how many players each team have in play at any one time. It is a game that anybody can play and it is a great sport for socialising and getting a workout. 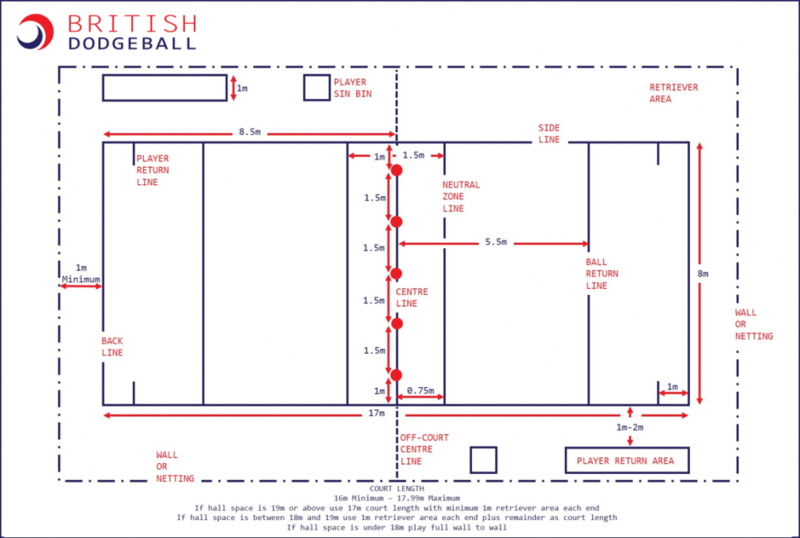 We play according to British Dodgeball 5 Ball Rules, found here.